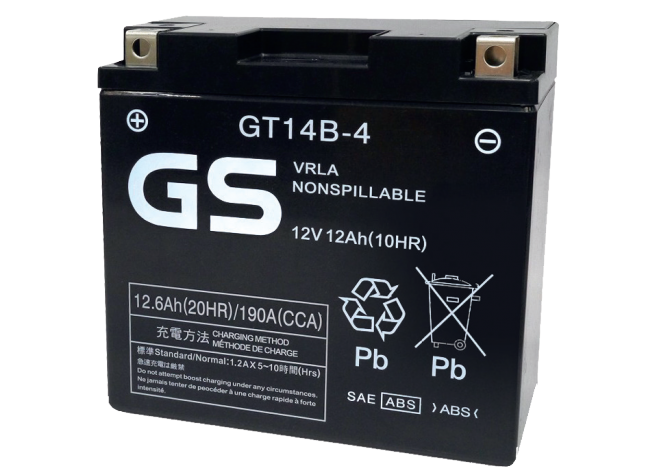 GS Conventional uses patented polymion technology and advanced separator technology to reduce resistance and to generate 30% more starting power than other conventional batteries as well as shorter charge time and superior charge retention. 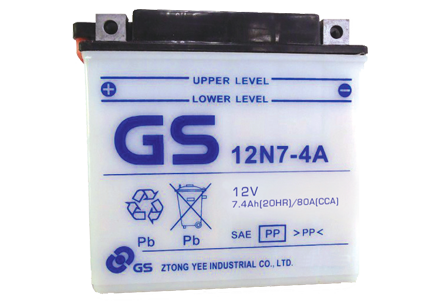 GS-CB series uses a special lead alloy to reduce self discharge and maximize starting power, even after months of storage. The CB series uses an active material compound designed to resist vibration and has the most advanced technological battery construction methods. Ideal for accessory-laden touring bikes and modified vehicles. 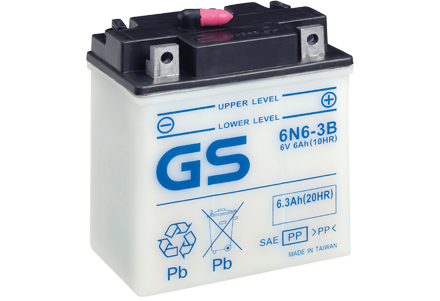 GS Maintenance Free batteries are permanently sealed batteries that never need refilling; however, they still need periodic charging. Ideal for motorcycles, scooters, ATV’s, riding mowers and personal watercraft. 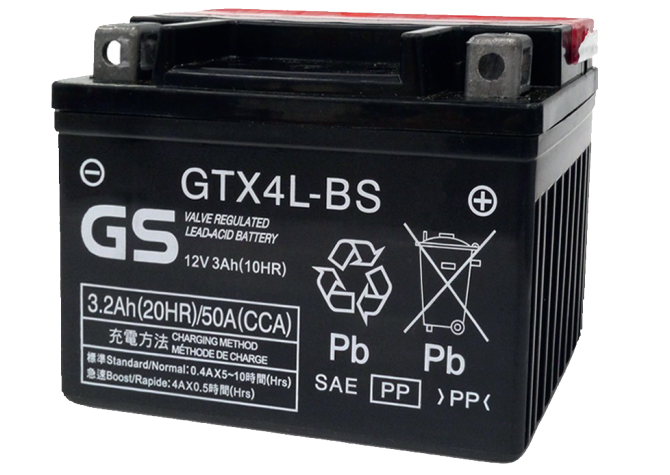 GS High Performance batteries are loaded with features for the highest reliability with the most cranking power. Our gas recombinant technology eliminates water loss: once filled with electrolyte, the battery is permanently sealed – no more worries about checking electrolyte levels. Protect your valuable bike, parts and accessories from electrolyte damage. 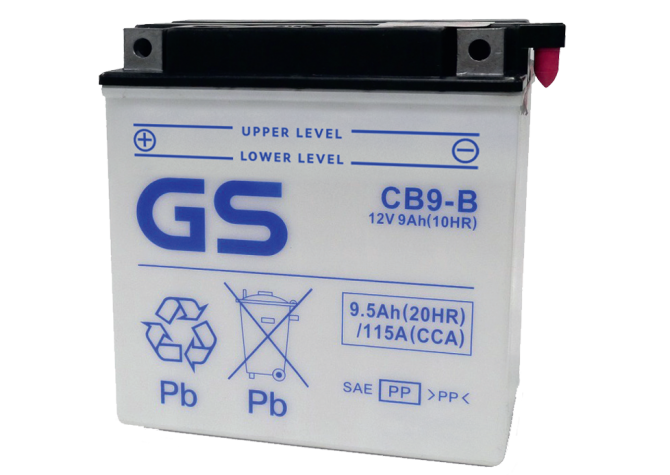 The GS High Performance range has all the features of a standard Maintenance Free battery and is your best choice for motorcycles, scooters, ATV’s, utility vehicles, riding mowers, personal watercraft and snowmobiles.